Since I'm a stay-at-home mom with two small boys, and because my mini-studio is in the corner of my husband's home office (and he works from home), I'm not able to sneak away to make a card during the day... and dragging my goodies out to the kitchen table to make a card is out of the question with the kiddos around! I am, however, attached to my laptop on the sofa quite a bit while my eldest plays in the afternoons and my youngest naps for three hours (yes, three hours!). During my laptop-sofa-time yesterday I decided to try my hand at a digital card using Photoshop Elements 6 (PSE6) and a free digi kit I downloaded from Papertrey Ink last year... or maybe it was the year before. I also used some embellishments that I got off of a CD that I won at a papercraft event last year that is loaded with several digital kits by Traci Reed, who is an awesome designer for Sweet Shoppe Designs. I'm not familiar with PSE6 beyond mildly tweaking my photos, which I don't even do that often because I'm not a scrapbooker, but I am excited that I was able to figure out as much as I did on my own! I even figured out how to change the colors of the embellishments! 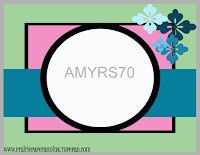 Anyway, I came up with a cute digi card made with Papertrey Ink's "Spiral Bouquet" digi paper and digi sentiment plate... and I tweaked some of Traci Reed's flowers, buttons and rhinestones to match. 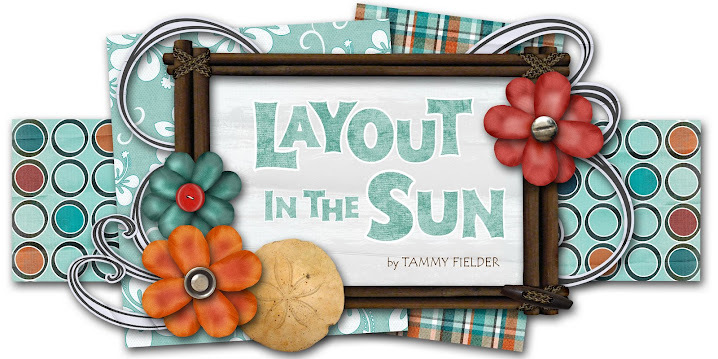 The layout is from this week's Friday Sketch Challenge by Amy Rysavy over at her "Prairie Paper & Ink" blog. It's not necessarily a "proper" submission since it is completely digital and not even hybrid... but at least I squeezed some creative juice and learned a ton about PSE6! I'm sure there is still so much to learn, and I don't even know if this card would look very good printed out, but at least it's worth a blog posting! I hope you enjoy my first all-digi card since there may be more digi cards in my future... especially during these lag times in-between "real" card crafting so my blog isn't so dormant! Stay tuned! This is beautiful! Love the warm colours and the flowers are perfect! Perfect for an e-card! I love your digi card! and I love making them! 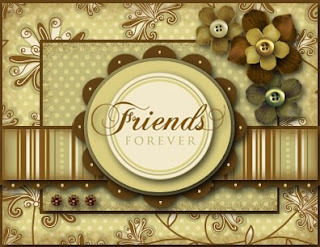 I use Photoshop and I like creating textured papers, scanning buttons and bows for adding like embellishments. I really enjoy doing digital works that you can print if you want and give like traditional cards. You have a beautiful blog, I´ll come back soon...!